The new 30,000 word novella Determined to Obey, featuring secondary characters Kid, Felipe, and Celia. 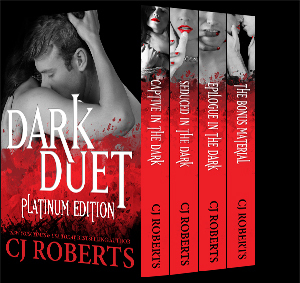 Eight scorching-hot fan-written Dark Duet short stories hand-selected by CJ Roberts. CJ’s favorite interviews & reviews.